Get Famous uses 1 & 1 Webhosting. Colorful, quirky, beautiful indie mellow melodies mixed with electronic dance beats written by Tara Laura and Dean Truit of Los Angeles. This long EP/Short Album features the singles Got U Figured out and Feel U. It's always a good sign when you can't sum up a group in a few words, or even a few sentences. Little Lemon is two people, a man and woman, from Los Angeles. So, there's your broad summation. Pinning down the music is tougher. The first two tracks on this long EP/short full-length use acoustic guitar as the base, adding rich melodies, appropriately sparse piano, and lyrics that are both heartbreaking and self-affirming. The third track is harmony-heavy a cappella, a quick jaunt accented with snaps and hand claps. "Feel U" is the fourth cut, a song that brings in some synths and makes for infectious dance music. "U Walked Away" starts with piano, adds some strings, and features initially timid vocals that open up perfectly. "Follow U" gives a nod to Liz Phair-style 90's rock, while "Sick" goes back to the acoustic, but layers thick keys on top, steering it all towards an effectively big ending. "Wanna Be With U" (is the title making sense, yet?) is a great one to end on, an emotionally honest and soul-baring track that assures things go out on a high note. There's a lot of diversity here, but the common thread is clear: great production, great musicians, and songs that you're sure to carry with you. Check out a preview track from the upcoming remix EP. Dan Oh (Cinespace, LA) makes a complete dance floor killing banger out of "Secret Love". Get Famous DeeJays are Chad LA, aka DJ HIGHspeedDUB, and Tara Laura. Together they bring the dance party. Your dance floor will not know what happened. 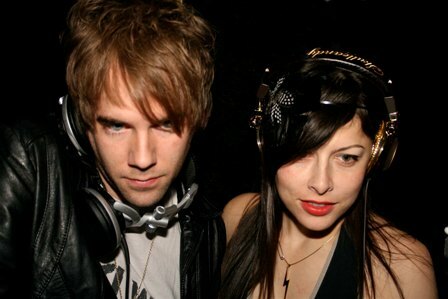 DJ HIGHspeedDUB has been spinning indie, electro, and house for 5 years and currently resides in Hollywood, CA. 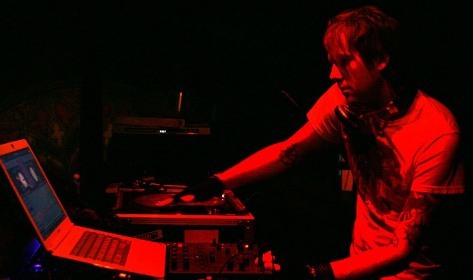 Getting his start spinning with VHS or BETA DeeJays in Louisville, KY, he relocated to Los Angeles in 2005 and has been wrecking dance floors across Hollywood and LA ever since. He has Dj'd across the country from Studio A in Miami to Las Vegas, and San Francisco. He promoted two nights in Hollywood, Get Famous and Fix Up, and was featured in Spin Magazine for his residency at Ruby Tuesday at the Key Club. He has DJ’d some of the biggest nights in LA including Moscow, Dance Right, Blow Up LA, and Ledisko.